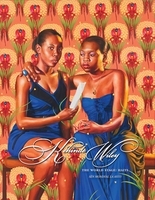 Hardcover, 10 x 13 in. / 60 pgs / 40 color. 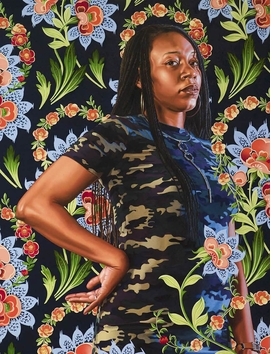 Published for the artist's solo exhibition at the Saint Louis Art Museum, this new series of paintings by Brooklyn-based painter Kehinde Wiley (born 1977) reenvisions the museum's holdings as a starting point for succinct observations about representation throughout the history of art. 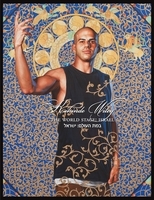 Through a process of street casting starting in 2017, Wiley invited residents he met in the neighborhoods of north St. Louis and Ferguson to pose for his paintings. The artist then created portrait paintings inspired by carefully chosen artworks in the museum's permanent collection. 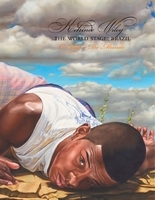 Wiley specifically chose Ferguson, Missouri, after the city became a flashpoint for nationwide protests touching on much larger issues of race, injustice and police violence. 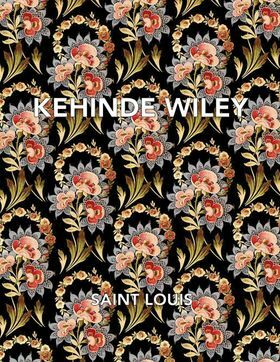 This catalog features 11 new paintings by Kehinde Wiley and essays by Simon Kelly, Curator and Head of Department of Modern and Contemporary Art at Saint Louis Art Museum, and Hannah Klemm, Assistant Curator of Modern and Contemporary Art at Saint Louis Art Museum. 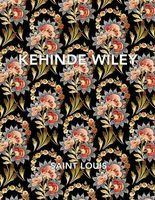 Detail of "Charles I" (2018) is reproduced from "Kehinde Wiley: Saint Louis." Wiley, now famous for his official portrait of Barack Obama, has a solo exhibition at the Saint Louis Art Museum melding artworks from the museum’s collection with paintings of local residents from North St. Louis and Ferguson — all featured in this catalog. Text by Ruth Eglash, Claudia J. Nahson. Interview by Dr. Shalva Weil. 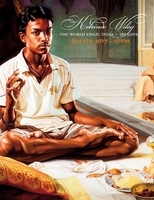 Text by Gayatri Sinha. Interview by Paul D. Miller (DJ Spooky). FORMAT: Hbk, 10 x 13 in. / 60 pgs / 40 color.